When it comes to organized religion (no matter which religion we are talking about), there are cases of false indoctrinizations. Sincere study into the history of any organized religion will expose a lot of unoriginal doctrinization which were never part of teachings intended by the central figure who shaped the faith. The biggest problem of such indoctrinization is that they pollute the pure message of the Prophet or the Messenger. And in todays world the implication is deep. People turn away from faiths simply by discovering the irrationality, falsehood of such doctrines, although they have nothing to do with the original teachings. Result is: the actual messages are ignored, forgotten and over shadowed by few of such imported false doctrines. In the previous post i posted about the influence of Mithraism on Christian faith. Now thats not the end of the story when it comes to false indoctrinization of Christianity. There are many independent scholarly attempts to search for the originality of the historical Jesus Christ and at the same time historical roots of many of the myths that are baselessly attached to him borrowing from earlier times. 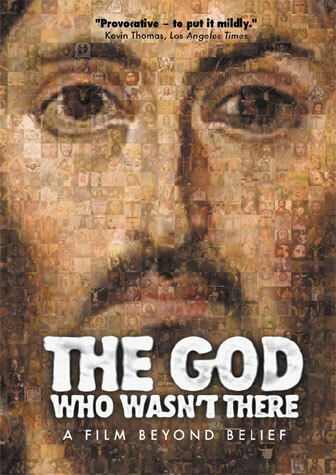 The God Who Wasn't There is a DVD released which seek to uncover part of such issues. What is interesting in this video is the exposure of the many of the myths, folklore that are added as doctrines of Christianity (the exclusive doctrine such as only begotten son or literal sonship or Divinity) which Jesus himself never taught. They were simply imported. Flase indoctrinization in organized religion is a major challenge for our time and future. Because most of such doctrines are motivated by power, politics and exclusivism. An example would be Catholic declaration Dominus Jesus 2000, that insisted that non-Catholic churches "are not churches in the proper sense" and implied that non-Catholics are naturally destined to hellfire. Even without the sacraments of the Catholic Church, all is implicitly a form of wickedness. Such decision penned by religious doctors runs very opposite to the mereciful, love bearing message of Christ. And such doctrines are what can be termed as dangerous indoctrinization. To a person who is not willing to be blinded by faith, who is not willing to be a fanatic - this is unacceptable. To be blind by faith is not what faiths are all about. Rather, knowing and realizing the truth is what faith is all about. False indoctrinization only create mental block and make people blind. Thats not the spirit what Jesus Christ was talking about. Rather he was talking about the truth, which does quite the opposite. The truth makes the mind and spirit free, rather than blind. While knowing the truth makes one free, false indoctrinization create fanatics. And there are among them ignorants, who know not the Scripture, but only lies, and they do nothing but conjecture. Therefore woe be unto those who write the Scripture with their hands and then say, "This is from God," that they may purchase a small gain therewith. Biggest coverup - only begotten son?